Carbon Monoxide poisoning is definitely one of those differentials that you consider when the patients books into ED with ‘?carbon monoxide poisoning’…… but how much do we really think about it in a patient that hasn’t been sent down to the ED with this specific thought in mind. 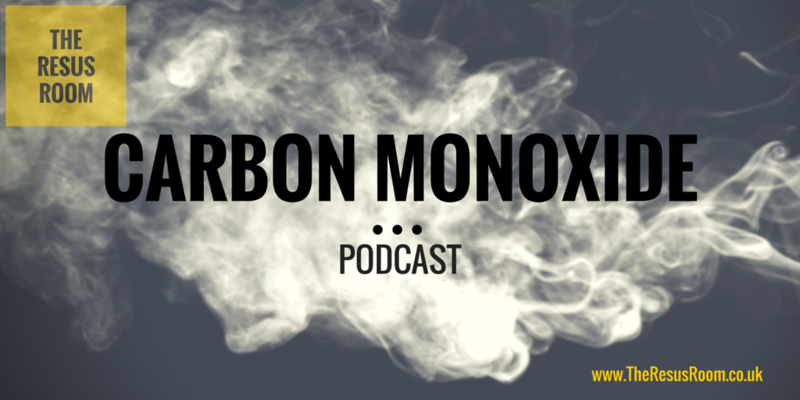 Rob Fenwick talks us through the key points of Carbon Monoxide poisoning and some recent evidence on the topic which will probably make us consider the possibility a bit more frequently! 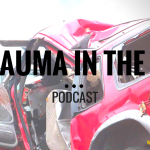 This podcast was based around the post Rob wrote for Jonathan Downham’s superb Critical Care Practitioner podcast. Go and have a look at the post for a lot more information on the topic. CO poisoning is difficult to identify because of a number of factors. When assessing patients with vague symptoms, it may be worthwhile taking that blood gas you were getting anyway, to the device that will also tell you their COHB..…. It might just surprise you. A venous COHB is just fine, save your patient that arterial sample. The treatment is pretty simple, support ABC’s, give high flow oxygen and consider contacting a HBO centre. Finally………..Refresh your knowledge on CO poisoning every once in a while, just to keep it in your list of differentials. Blumenthal, I. (2001) Carbon monoxide poisoning. Journal of the Royal Society of Medicine. Volume 94, pp270-72. Buckley, N. A., Juurlink, D. N., Isbister, G., Bennett, M. H & Lavonas, E. J. (2011) Hyperbaric oxygen for carbon monoxide poisoning. 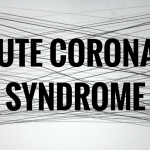 Cochrane Database of Systematic Reviews. Issue 4. Article number: CD002041. Clarke, S. J. F., Crosby, A & Kumar, D. (2005) Early carbon monoxide intoxication: happy to be poisoned? Emergency Medicine Journal. Volume 22, pp754-755. Harty, E., Haskins, K & Robinson, K. (2008) Carbon monoxide poisoning measurement. Emergency Medicine Journal. Volume 25, pp862. Hampson, N. P. (1998) Pulse oximetry in severe carbon monoxide poisoning. Chest. Volume 114, pp1036-41. Hampson, N. B & Weaver, L. K. (2007) Carbon monoxide poisoning: a new incidence for an old disease. Undersea & Hyperbaric Medicine: Journal of the Undersea and Hyperbaric Medical Society. Volume 34, number 3, pp163-8. Kaya, H., Coskun, A., Beton, O., Zorlu, A., Kurt, R., Yucel, H., Gunes, H & Yilmaz, M. B. (2016) Carboxyhaemoglobin levels predict the long-term development of acute myocardial infarction in carbon monoxide poisoning. American Journal of Emergency Medicine. Epub ahead of print. Available from: http://dx.doi.org/10.1016/j.ajem.2016.01.036 (last accessed 24/3/16). Kumar, P & Clark, M. (2012) Clinical Medicine (8th Edition). Saunders. London. Wright, J. (2002) Chronic and occult carbon monoxide poisoning: we don’t know what we’re missing. Emergency Medicine Journal. Volume 19, pp386-90. Zorbalar, N., Yesilaras, M & Aksay, E. (2014) Carbon monoxide poisoning in patients presenting to the emergency department with a headache in winter months. Emergency Medicine Journal. Volume 31, e66-70.